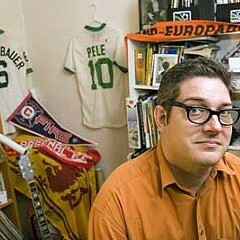 Why soccer superfan Jamie Trecker is U.S. Soccer's harshest critic. Meet Bob Wells, a graveyard caretaker with a philosophy. And a MySpace page. Chicago Bike Polo hosts a Champeenship. Plenty of bars sponsor sports teams, but the Black Rock exists solely to support the Chicago Griffins rugby club.